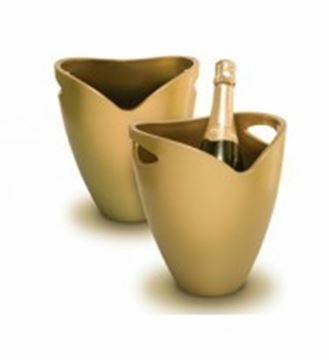 The transparent acrylic chilling bucket is very light, practical and strong, and is ideal for the restaurant trade. 107-658-00, It is the first bucket to offer a silicone border to cushion the bottle and help eliminate dripping when the bottle is removed from the bucket. 107-659-00, It is the first bucket to offer a silicone border to cushion the bottle and help eliminate dripping when the bottle is removed from the bucket. 107-657-00, It is the first bucket to offer a silicone border to cushion the bottle and help eliminate dripping when the bottle is removed from the bucket. 107-654-00, It is the first bucket to offer a silicone border to cushion the bottle and help eliminate dripping when the bottle is removed from the bucket. 107-630-00, Bucket for 5 or 6 bottles, special plastic made ​​of high transparency, impact resistant and temperature changes, the material makes it extremely lightweight and easy handling. 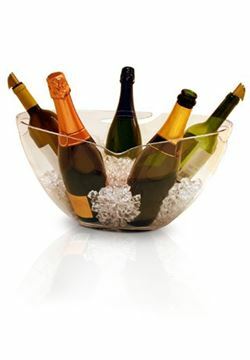 107-635-00, Ice Bucket made of acrylic plastic, light and easy to handle, resistant to impacts and to temperature changes. 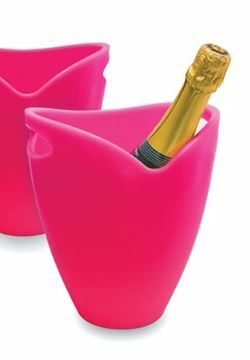 107-629-00, Ice Bucket made of acrylic plastic, light and easy to handle, resistant to impacts and to temperature changes. 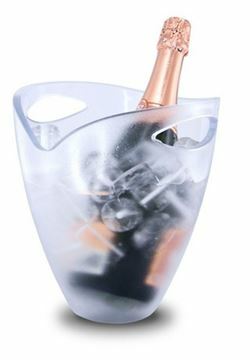 107-601-00, Ice Bucket made of acrylic plastic, light and easy to handle, resistant to impacts and to temperature changes.